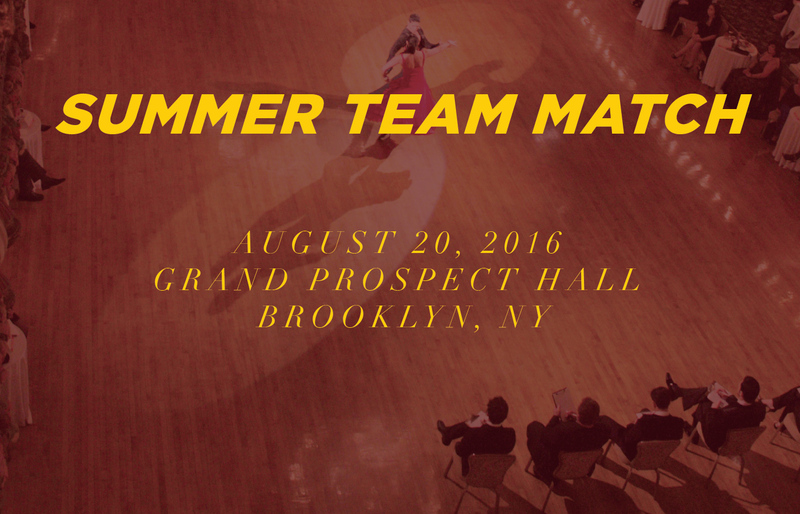 On August 20th, 2016 the entire Dance With Me family gathered at Grand Prospect Hall in Brooklyn for Summer Team Match 2016. The entire day was filled with dancing, party, laughter, and nostalgic moments! Our events have grown tremendously in the past few years and our Summer Team Match 2016 was no exception. Thrill and excitement of a ballroom dance competition! Professional and student showdance performances! If you missed out on this one- don’t sweat it just join us next time! Whether you are interested in dancing, want to learn more about our services, or have some general comments, we would love to hear from you.